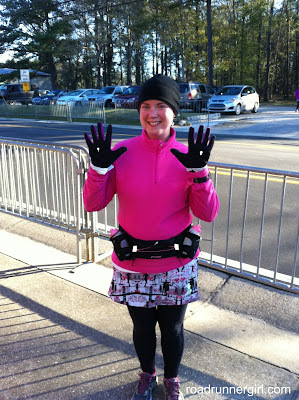 Road Runner Girl: Will Run 10 Miles for Food! The run felt great! Have I ever said how much I love running long, slow distances??? I really do! 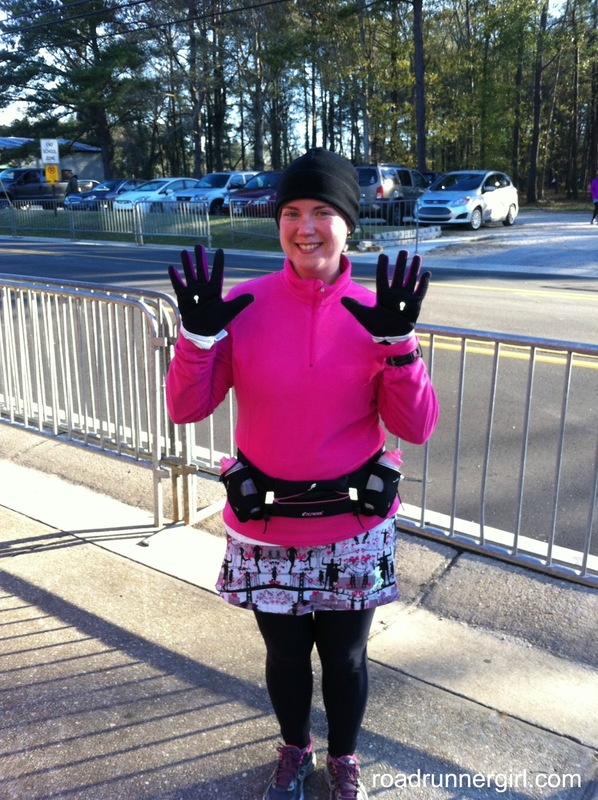 I once again got to run this entire run with Holly from Running and Baking, Oh My! I love running with her on these long runs because we are the exact same pace! The first 3.5 miles were flat...but they were a little tougher since my legs weren't warmed up yet. Then came the hills. We had a few hills for miles 4-5 and then we went flat again. Once we hit mile 7 the hills really started. My goal was to run those hills all the way and not stop to walk. How did I do? Success! Challenges during this run: not slipping on the Mardi Gras beads that were still on the ground from the parade the night before! Luckily no one had this happen to them. 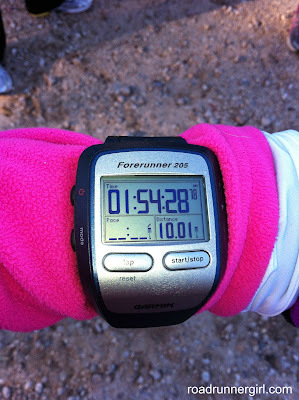 And of course hills are always a challenge...but I always feel so accomplished when I conquer them! I made sure to remember my steps to get over those hills while I was running! This month I am participating in the Girls Gone Sporty February Sharing with Heart Challenge! February is all about hearts...from Valentine's Day to National Heart Month. So this challenge is all about sharing and encouraging healthy hearts! Basically the challenge is to get active with others, take a picture of it, and upload it on Instagram, Facebook, or Twitter with the hashtag #sharingheart. Join me in this challenge and a chance to win some awesome prizes! Sign up here! 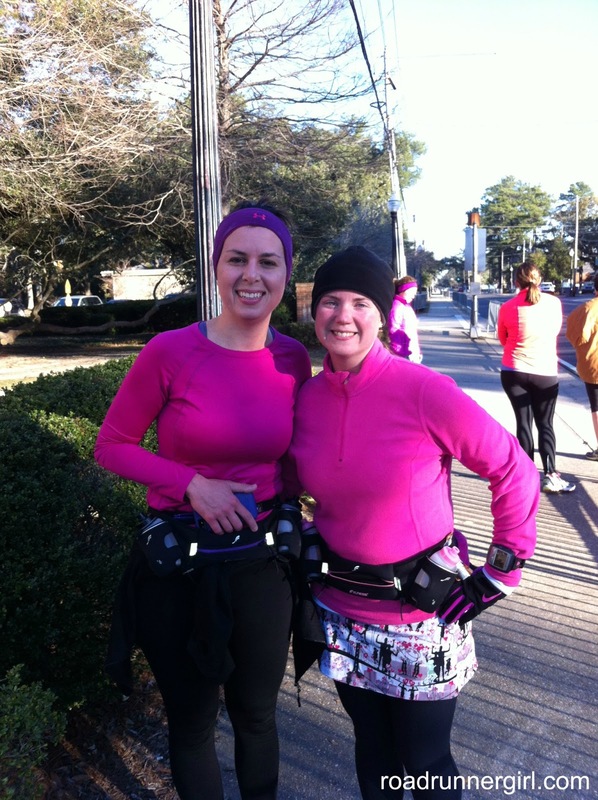 I took a picture with Holly after the run and tagged it with the #sharingheart hashtag! I love that we both love to run! After the run it was finally time to eat!!! I couldn't wait lol! Running 10 miles makes you hungry...especially when you are thinking about food the whole time you're running!!! The plan was to eat at a little cafe downtown but by the time we were finished running they couldn't seat us. We would have to wait 30 minutes. Well women waiting around outside in 30 degree weather that have just run 10 miles and are all sweaty is NOT a good thing. Some decided to go on home but 4 of us wanted that breakfast so we headed to Cracker Barrel. 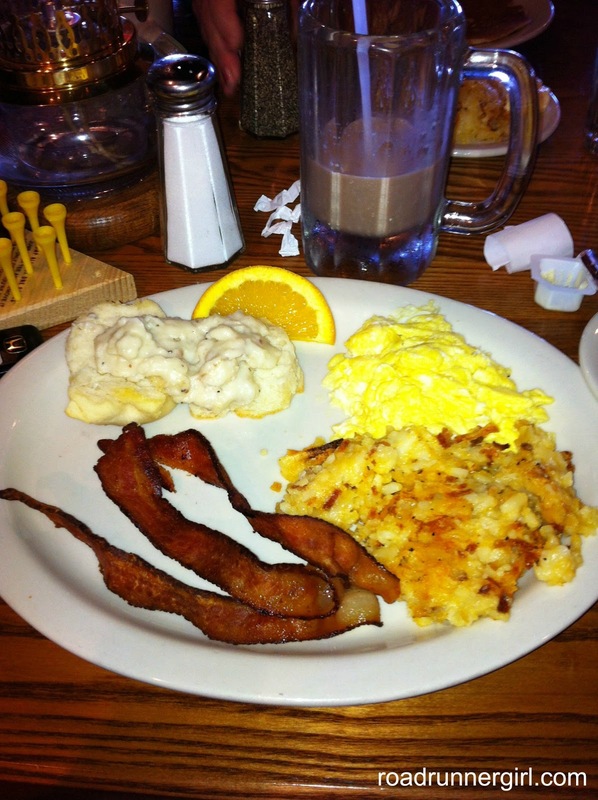 I ordered the Old Timer's Breakfast...two eggs, grits, hashbrown casserole, bacon, sawmill gravy and biscuits. I was apparently hungry lol! I never eat that much for breakfast!!! And...I almost ate everything on my plate!!! It was so good! And yes...that IS chocolate milk in my cup! Perfect post run recovery drink! No..I'm not six years old lol! So I've decided that I want breakfast after every long run now lol! Who's with me??? QOTD: What do you eat after a long run? Or are you like me and just drink a protein shake and then wait for lunch?